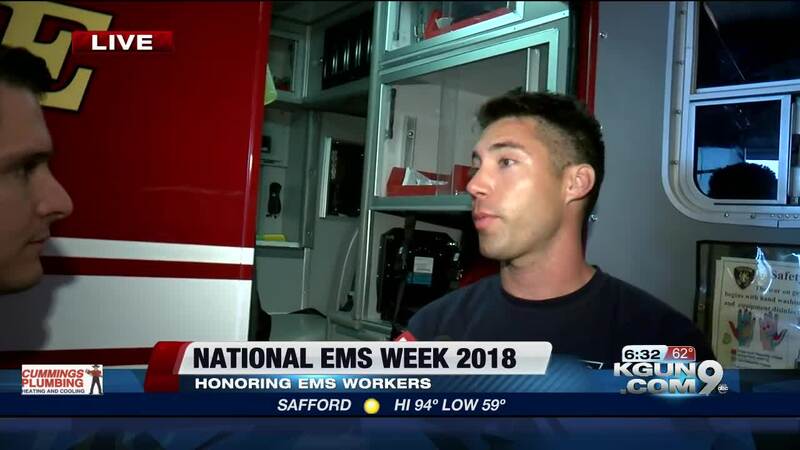 From May 20-26, people across America are celebrating EMS workers, for the 44th annual, "National EMS Week." The tradition dates back to 1974, when President Gerald R. Ford authorized the week for people to celebrate and honor the professionals for the important work they do in the communities. In New York City , FDNY ceremonially lit up the Empire State Building yellow, white, and blue, with a red and white halo, as a way to honor the city's EMS workers. 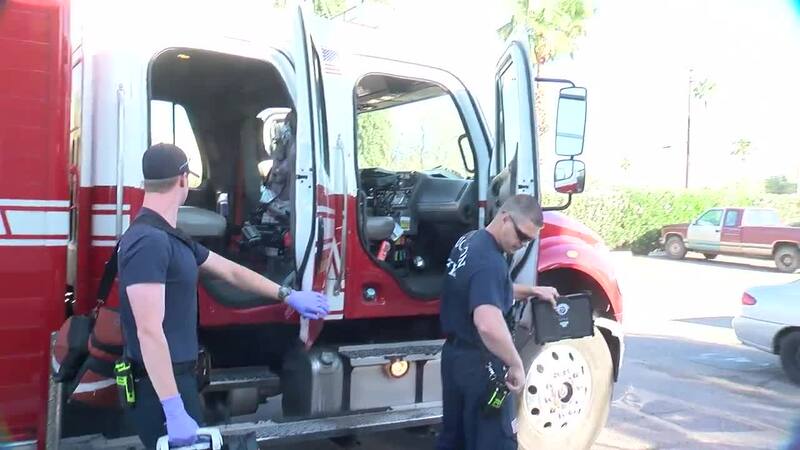 KGUN9's Max Darrow will be riding along with firefighters and paramedics from the Tucson Fire Department all morning. Tune into Good Morning Tucson from 4:30 a.m. to 7:00 a.m., and Morning Break from 7:00 a.m. to 8:00 a.m. to catch his live reports.